Flydubai has launched its daily service to Kraków, becoming the first UAE carrier to offer direct flights from Dubai to the Polish city. The inaugural flight from Terminal 2, Dubai International landed at John Paul II Kraków Airport on April 8 and was greeted by a water cannon salute. The inaugural flight was piloted by a Polish Captain and First Officer and onboard there were Polish cabin crew members. The delegation was led by Jeyhun Efendi, senior vice president, Commercial Operations (UAE, Middle East, Europe & CIS) at flydubai. Robert Rostek, the Polish Ambassador to the UAE and Thierry Aucoc, senior vice president, Commercial (Europe & Russian Federation) at Emirates, joined the delegation together with representatives from the UAE media. On arrival in Kraków, the delegation was greeted by the UAE Ambassador to Poland, Dr Yousif Eissa AlSabri; Radosław Włoszek, president of the Kraków Airport Board; and Paweł Galiak, Aviation and Commercial Services director at Kraków Airport. “With our partnership, passengers can connect easily and conveniently to over 90 of flydubai’s destinations which complement the Emirates route network, spanning six continents in over 80 countries,” said Aucoc. “Both airlines have grown independently and successfully over the years and this new partnership unlocks the immense value that the complementary models of both companies can bring to consumers, each airline, and to Dubai. We are really proud to be a part of this event and look forward to witnessing flydubai’s success on the Polish market,” he added. “A connection offered by the new carrier, flydubai, from Kraków to Dubai International (DXB), opens up wide travel options for passengers from southern Poland. 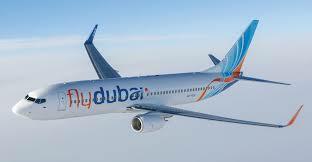 Passengers will certainly appreciate the benefits of the agreement between flydubai and Emirates airlines,” said Włoszek. “Kraków and Małopolska combine the tradition of many centuries with modernity. They are highly rated by foreign investors and recognised in international rankings. With the extensive tourist and cultural offer, visitors can plan an extraordinary holiday at any time of the year. 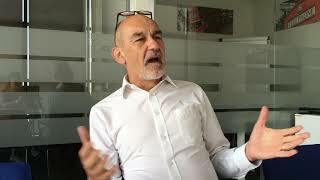 The new connection is an opportunity for further development to our region and for creating new jobs as well,” he added.